I posted this article under name Typical Chinese Village” yesterday. Actually, this village means a lot to me. 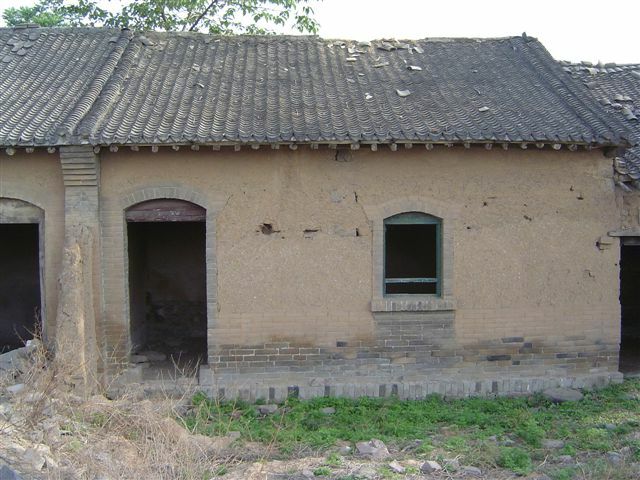 It is the village I was born and the village I lived before I move into the downtown area in Luoyang when I was 4 in age. 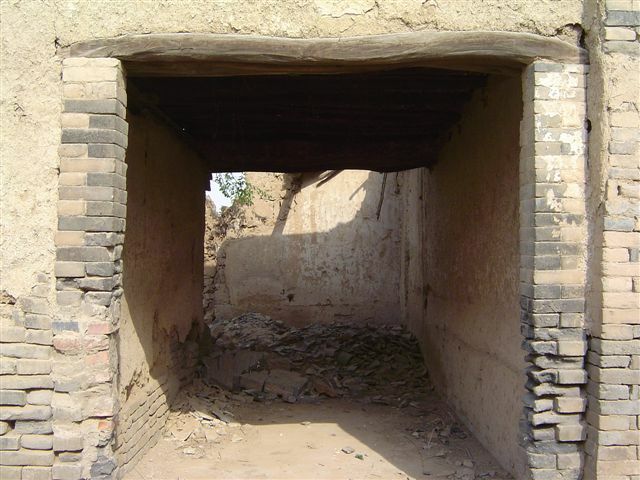 The name for this village is Xin Zhuang (or New Village). 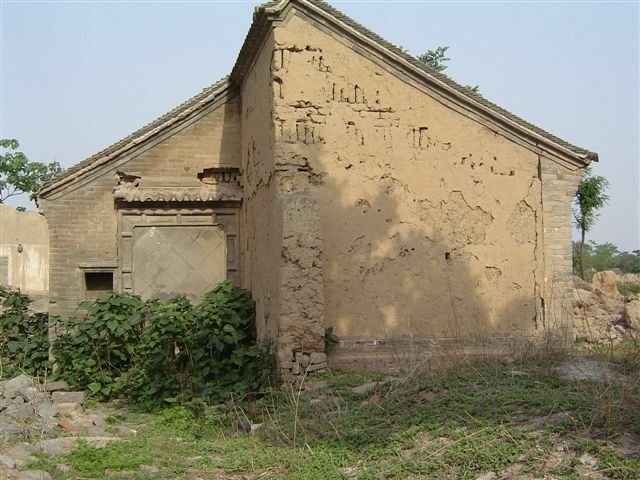 It is 15 km away downtown Luoyang. The yellow river flows by the village. 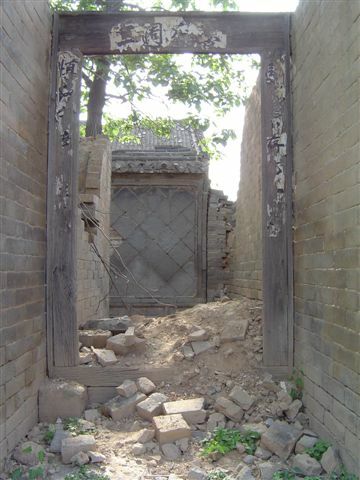 More than 10 empirers were buried near the village, because it was regarded as a place with best Feng Shui. 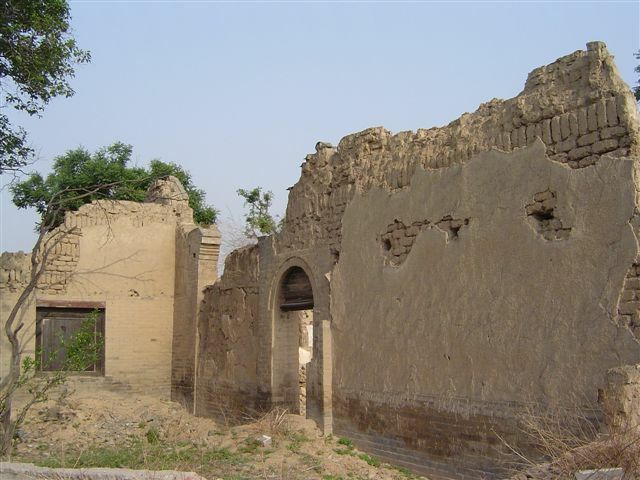 Now the village was abandended. People all move outside the village for easier transportation. No people live there now. I visited the village again after being away from it for more than 10 years. Everything seems so familiar to me. Here are some pictures. 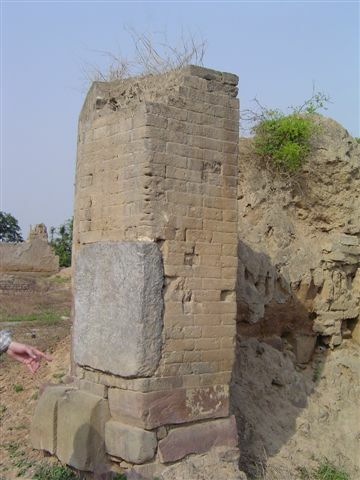 Below is the gate to the village. 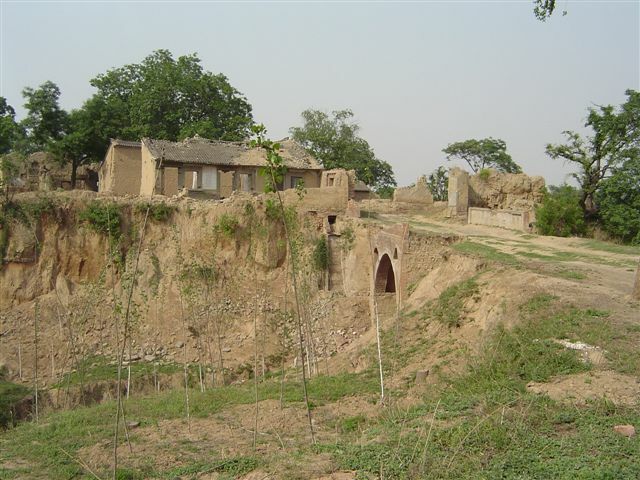 The village was built on a hill with deep gaps around it. It is the only entrance to the village. It was movable bridge that can be hang up so enemies can not run into it. 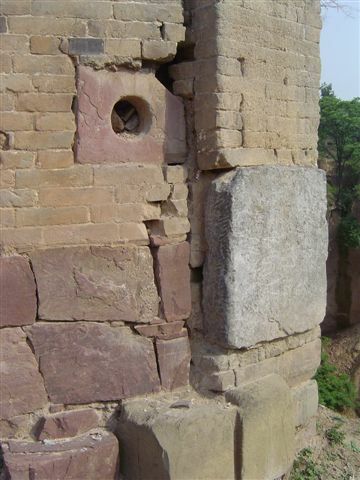 The solid defence protected the villagers from many wars. There are holes on the pole. Stikes can be inserted into the pole to strengthen the door. 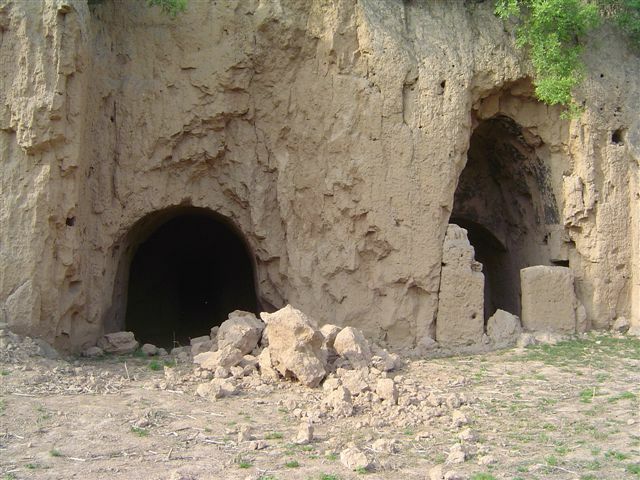 This is the cave near the village for shepherds. Anyone can easily dig a cave on the solid yellow soil and it never crashes during years. The nice facade of Qing Dynasty. Generations of people once lived here. 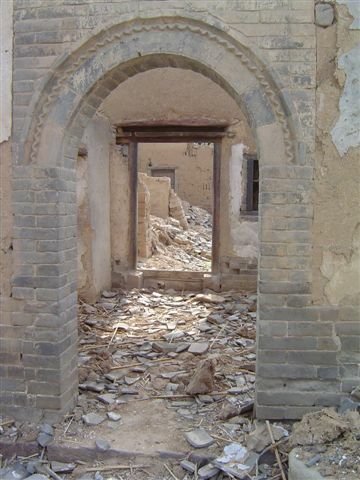 Since there is no people living there, the houses started to crash, only living some facade and gates. This is were I was born and where I lived for my first several years in my life. I was born in ZheCheng(not far from LUOYANG) and lived there for 7years and then moved to SHANGHAI together with my family. My dad served in the navy at that time. I only went there one time when I graduated from middle school. My gradpas and gradmas are all gone many years ago. So I never return the country. Maybe my brains is not so good, I can’t remember anything about past thing. What I can remember is recent. Several years ago is mistiness to me. I share your love of this village where you were born. The setting of the village reminds me of my childhood too. But I will not be able to visit because of the urbanization. They were simply gone, making space for modern high rise building. 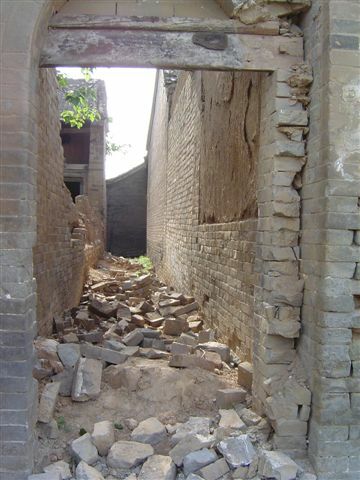 You mentioned that this village enjoyed excellent Feng Shui. I am puzzle why all the villagers had moved out of it. How come nobody is willing to stay back and make full use of the Feng Shui location. Can a foreigner buy a piece of this land? No, ionic. 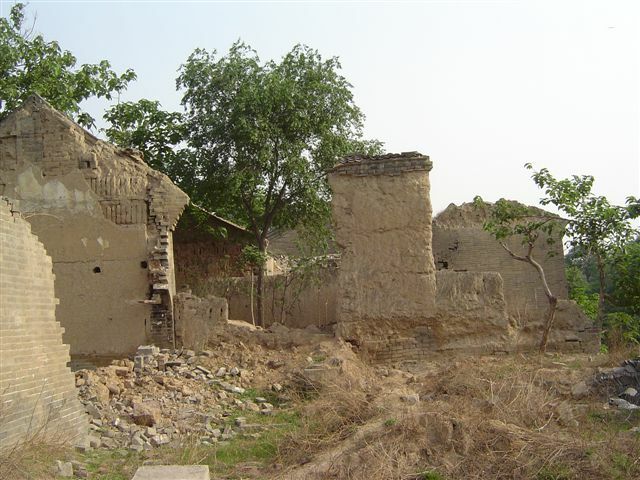 Now, even local resident cannot buy land – they buy the usage right for 70 years of the land. Some of the young who were born in village are eager to move to big cities. I was born in suburban area of Shanghai. Though I hate so-called Shanghainese people in Centre Town, I struggled to the centre town. Still do I hate Shanghainese people after studying and living in the Centre Town, but to my surprise more and more migrants are showing their talent here to put an important impact on those natives. Cheers! Beautiful Pictures. I would love to visit !! Thank you so much for posting all your lovel photos. 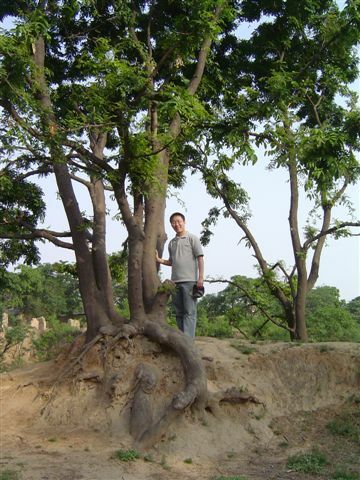 I visited Luoyang Julylast year and had a great time: and I wish to return with some friends, April next year. Do you know where we could stay in some of the villages? I have heard that some of them have simple accomodation. I trust you can see my email address.